The mystery Hat knit-a-long for this year is drawing to a close, and it's time to reveal the 2 Hats! Mayrose uses the classic feather and fan lace stitch, making it ideal for beginner lace knitters. I'm sure there are other Hats around using this stitch, but I wanted to tackle it for myself, and work the rippling lace into the crown shaping. 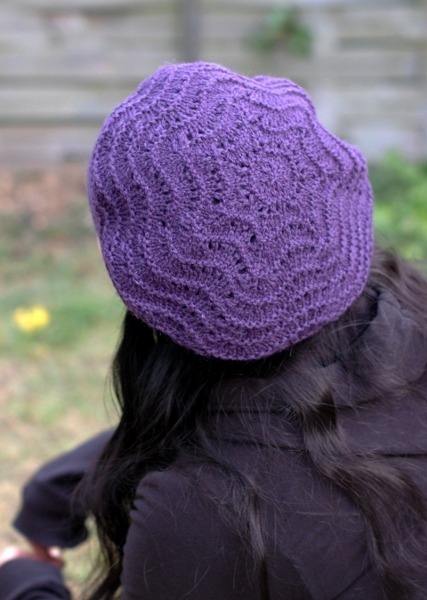 I enjoyed this one - the shaping was straightforward, and the stitch lends itself really well to the beret shape. The pattern comes in 3 sizes (charted & written format) and is easily adjustable for extra slouch, because the repeat on the body is nice and short. I have seen some wonderful Hats made from this pattern - KALers have used a wide variety of yarns, all of which lend their own special charm. Everglade was more of a challenge, design wise. I knew how I wanted the shape and body to form, but the crown shaping took a few attempts to get right. There are always different options for shaping and fitting decreases into lace (as with most other knit techniques/stitches) yet each one takes on a different appearance and can drastically change the overall effect of a Hat. I was so pleased with how this finally come out - it's not often I'm really proud of a design, but I am this one. The pattern comes in 4 sizes (charted & written format) and can be worn in different ways - simply folding the brim can change the look of the Hat immensely. Extra slouch can be added, although the stitch repeat is quite long and slouch is already factored in. 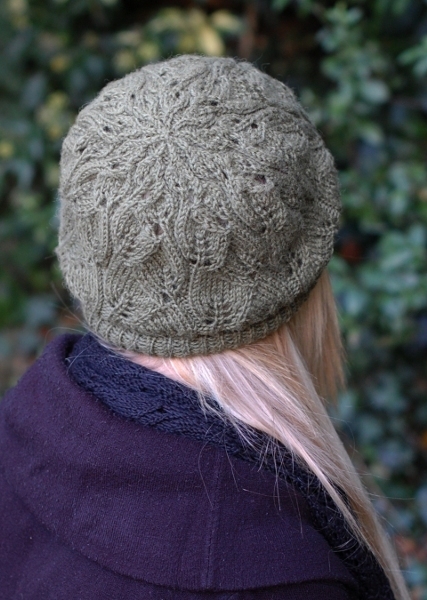 The finished Hats from this pattern are just beautiful - if you haven't had a look yet, do pop over to Ravelry and look through the projects - many, many gorgeous Hats to be seen! This years' KAL has been a lot of fun - it's nerve wrecking too, worrying about all the little things, making sure I don't goof up or whether or not knitters like patterns - but it is so, so worth the effort. There are plans afoot for next year, be forewarned! The 30th November is the 'official' release date for these patterns, when their price will go back to normal and they'll go into wholesale. In the meantime, for the next 2 days, you can still buy them at their special KAL price - just follow the links with the name of each pattern above. Many thanks again to everyone who has bought into the KAL and taken part - your faith and trust is very much appreciated. This years KAL has been as successful as last years, and it wouldn't be that without so many knitters taking part. I hope you enjoy your new knitted Hats!